There’s a lot to be optimistic about in the Healthcare sector as 3 analysts just weighed in on Actinium Pharmaceuticals (NYSE: ATNM), VistaGen Therapeutics (NASDAQ: VTGN) and Corbus Pharmaceuticals (NASDAQ: CRBP) with bullish sentiments. In a report released yesterday, Jason McCarthy from Maxim Group maintained a Buy rating on Actinium Pharmaceuticals (NYSE: ATNM), with a price target of $3. The company’s shares closed yesterday at $0.48, close to its 52-week low of $0.33. 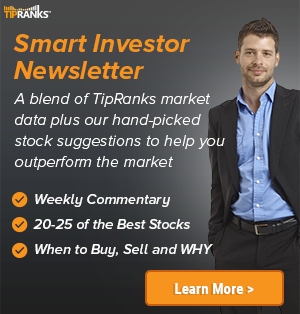 According to TipRanks.com, McCarthy is a 4-star analyst with an average return of 10.1% and a 45.6% success rate. McCarthy covers the Healthcare sector, focusing on stocks such as IntelliPharmaCeutics International, SELLAS Life Sciences Group Inc, and ContraVir Pharmaceuticals Inc. Currently, the analyst consensus on Actinium Pharmaceuticals is Strong Buy and the average price target is $3.58, representing a 653.7% upside. In a report issued on May 29, Oppenheimer also assigned a Buy rating to the stock with a $5 price target. In a report released yesterday, Jay Olson from Oppenheimer assigned a Buy rating to VistaGen Therapeutics (NASDAQ: VTGN), with a price target of $6. The company’s shares closed yesterday at $1.49. According to TipRanks.com, Olson is a 3-star analyst with an average return of 3.4% and a 48.4% success rate. Olson covers the Healthcare sector, focusing on stocks such as Madrigal Pharmaceuticals Inc, Eiger Biopharmaceuticals, and Conatus Pharmaceuticals. 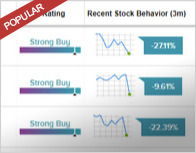 VistaGen Therapeutics has an analyst consensus of Moderate Buy, with a price target consensus of $6. Cantor Fitzgerald analyst Elemer Piros reiterated a Buy rating on Corbus Pharmaceuticals (NASDAQ: CRBP) yesterday and set a price target of $32. The company’s shares closed yesterday at $6.15. 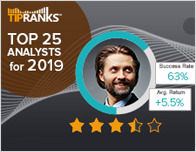 According to TipRanks.com, Piros is a 1-star analyst with an average return of -1.3% and a 51.1% success rate. 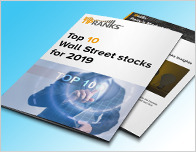 Piros covers the Healthcare sector, focusing on stocks such as Spring Bank Pharmaceuticals Inc, Strongbridge Biopharma Plc, and Global Blood Therapeutics. Corbus Pharmaceuticals has an analyst consensus of Moderate Buy, with a price target consensus of $32.